Comment: Welcome to Sakura Mart! [Remarks]: No box, manual. Warranty has expired. [Including Items]: F/R cap [Condition] Very good!! [Functions] Works properly. [Cosmetics] Some scuffs. [Optics] No scratch, haze, fungus. There is tiny dust. [Return policy]Return accepted within 30 days in accordance with Amazon's policy. Thank you! Bring small things into full-sized view with the Canon EF 60mm macro USM lens. Macro lenses can uncover detail that would be impossible to detect by the eye and give new perspective to extremely minute subjects such as insects or the petals of a small flower, and this lens is no exception. 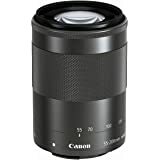 The 60mm lens offers an angle of view that's equivalent to a 96mm lens on a 35mm camera, along with a floating optical system that can focus down to life-size 1:1 magnification. The inner focusing system, meanwhile, is driven by a silent and powerful ring-type ultra-sonic monitor (USM), meaning the lens's overall length never changes during focus. Ultimately, the multi-purpose lens is equally at home shooting macro shots, portraits, or available-light photos. 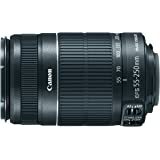 Like all Canon EF-S lenses, this lens is restricted to the EOS 20D, EOS Digital Rebel, and EOS Digital Rebel XT cameras. 5.0 out of 5 starsA sharp lens for both macro and portraits. I want to do two things here. First, I will review the 60mm lens. Then, I want to talk about the difference between the 60mm macro and the 100mm macro lens, since they are often compared to each other. 1. Very Sharp – Let’s be honest, sharpness is probably right at the top of the list of what makes a lens good, and this lens has got it, right down to the details. Take a look at some of the sample shots to see what I am saying. This lens is my sharpest, and that is in a bag that has the 70-200 F2.8L in it. It’s hard to beat a prime lens for sharpness, especially one that does 1:1 magnification. 2. 1:1 Magnification Ratio – Speaking of which, this is a true macro lens, having the 1:1 magnification ratio. Most lenses do not have this feature, only macros, and is necessary for those high detail shots that macros are known for. 3. 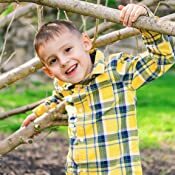 Wide Aperture – F2.8 is a pretty wide aperture, which slices the depth of field fairly thin (especially up close), as well as makes this lens perform well in low light. 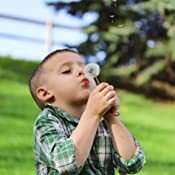 It makes it possible to add the ever coveted bokeh effect to your photos, and makes the 60mm a good portrait lens as well. It’s pretty sharp at the center at F2.8, but a slight soft around the corners. As you stop down, the corners are sharper, pretty common for macro lenses. 4. USM Focus – Quiet, and quick, most consider USM to be the better of the focusing options. Also, with this focus, there is full time manual override, which is very helpful for macro shots (read on for an explanation). The mechanical focus ring gives good feedback for tight manual focus. Also, all focusing is internal, so the lens doesn’t extend and the front element does not rotate (good for filter users). I think it is worth mentioning that this lens is not as fast to focus as other USM lenses, and is not ideal for action shots. It is not completely useless either, you just might be better off with a different lens if you want to use it for that. 5. Focus window – A helpful thing for a lens to have, the focus window helps set infinity focus. 6. Built to last – Good build quality, with a metal mount. Take care of it and it will last you a long time. I’ve had mine since 2010, and it still works great, with no noticeable damage to the case or the elements. 1. APS-C only – Sorry to all you full frame users, the 60mm is only for the small factor “crop” cameras. This is only a con if you don’t have a crop camera, but since I see the question “will this fit my (insert camera here)” pop up so much, I wanted to put this info here. If you have a Rebel, a mid-range body (like the 80D etc. ), or a 7D, this will fit. If you have a 1D, 5D, or 6D, it won’t. In that case, check out the 100mm macro that I will be talking about in a minute. 2. Focus hunting – All macro lenses suffer from a bit of focus hunting once you start to get down to the minimum focusing distance; where the camera is seeking in and out to find the subject. There are several technical reasons for this; I’ll spare all the details, but basically the stuff the camera uses to AF with is either reduced (contrast, light), or is too hard to distinguish. This is common, and is why people tend to use manual focus for macro shots. Unlike some of the more expensive macros out there, there is no focus limiter to assist in this. Also of note, there is a bit of magnification change as you focus, known as focus breathing. Not really an issue for stills, but videographers are usually not too keen on it. If you still want to use the AF, then your best bet is to take advantage of the full time manual override to get your focus close enough, then use your half press on the shutter. 3. Minimum focus – 6” from the sensor, or about 3” from the end of the lens. I am listing this as a con for a very good reason; it is too close except in specific situations. The closer you get to your subject, the less light you can get on your subject and that is an important thing to do for macro shots. Also, anything living (insect, birds, etc.) will likely be scared away before you ever get that close. 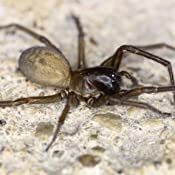 I have gotten some spider shots from up close, but even then, I had to use a ring light to get light on them, and that is not very ideal (no way to meter). There are other options, like a macro flash that mounts on the end of the lens, but those are expensive. In certain situations this is fine, but if you plan to do nature shots with this lens, then a longer focal length is more ideal. I’m not taking a star off for this though; since this is one of the listed specs of the lens, it is up to the user to know how to use it. It would be like taking a star off an F4 lens for being and F4 lens. 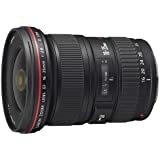 I just want to be sure that people that are interested understand this limitation before dropping 400 USD on this lens. So, with all that said, I want to talk about the EF 100mm F2.8 macro USM. This lens seems to be compared to 60mm often, as they both will fit onto APS-C cameras, in spite of the 100mm being a full frame lens. Let me give you a breakdown of when one might be better than the other, and hopefully that helps you make a more informed choice. 1. More working space – the min focus of the 100mm gives you about 6 inches to work with around your subject, while the 60mm is more like 3. This gives you more room to get light on your subject, a tricky thing to do with macro shots. 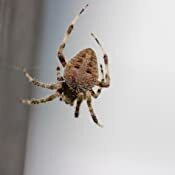 It also gives your subject more personal space, helpful when those subjects are things like insects and other things likely to run from you. 2. More reach – the extra 40mm of reach also will net you much better shots in wildlife/nature, if that is your intended use. And when on an APS-C camera, the lens frames more like 160mm. So, you’re going to be getting some great dragonfly/butterfly/bee/spider shots, or whatever else you want to get close to with ridiculous sharpness. It is ideal for taking shots of small to tiny objects and things. The 60mm is lacking in reach to be ideal for tiny objects, though I have gotten some nice spider shots with it. 3. Price is not much more – Not talking about the L lens here that has IS; I am talking about the EF 100mm F2.8 macro USM. Some say that you can find that lens for about 80 dollars more than the 60mm. Maybe when the 60mm was new that was true, but now it is more like 150-200 dollars. Still not too a big jump for all the advantages it has. When it comes down to having the right lens for the job, it is probably worth the investment. 4. Full frame – If you have a full frame camera, then the 60mm is not even an option for you, as I mentioned earlier in the review. The 100mm is a pretty great option though. Also, if you have a crop camera, and you might go full frame someday, the 100mm will still work for you. 1. Copy Stand – If you have never heard of a copy stand, then disregard this, as you don’t need it. If you have and are looking for a lens for one, then this is that lens. It seems to be pretty universally liked by Canon users that have copy stands. Its focal length and overall sharpness make it ideal for this purpose. 2. Portraits – On an APS-C camera, the 60mm has become my go to portrait lens for full body style shots. So much detail and excellent bokeh, I am constantly impressed by its capabilities. The 100mm is also great for this, but on APS-C you lose too much of your angle of view to use it for more than headshots, and for that you are better off with a telephoto lens anyway (like the 70-200mm). So for APS-C, the 60mm is better for portraits. Check out the pics for some examples. 3. Food/Product Lens – I have never used it for food, but I have read about more than a few bloggers that do. It’s angel of view and focusing distance make it ideal for food shots, or for that matter, any kind of product shot that requires a tight frame with high detail. I bought mine to use for selling things on eBay; specifically, I used to paint models and miniatures, and this lens showed the details well. I definitely got a better price on things because how good my shots looked. 4. 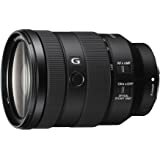 General Purpose, Sort Of – Not as useful as a zoom lens, but in an open area this lens works well for general use; the 100mm would be too tight for general use. I took this lens to an indoor aquarium, and got some great shots. The wide aperture makes it good in low light, so that wasn’t a problem. 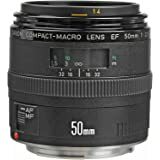 I will say, for the money, the EF 50mm F1.8 STM is probably a better bet for this purpose, so I would not buy the 60mm to use for this alone; get it for macro work and then also get more use from it for these other purposes. I just happened to already have the 60mm, and thus I was able to forgo the 50mm (though that 50mm is so cheap, just about anyone could get it can be happy with it). Keep in mind, both of these lenses are SUPER sharp, and serve their purpose. Without knowing your intended use, I am just assuming general macro shots. They both are great lenses, and you will find good use for both. Hopefully this helps you make your decision. 5.0 out of 5 starsFantastic for macro work- and much more. I need detailed photos of live house flies- don't ask why! 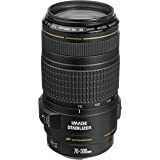 This lens allows for 1:1 macro, which mean that the image on the sensor is the same as that of the object being photographed so my flies fill one third of the image- enough for grotesque detail. The depth of field is narrow, so I had to stop down the lens, which meant lots of light- either flash at about 5 inches or an LED flashlight with a claimed 500 ft range. Some of my most useful images came at breakfast time when flies offered to clean the dishes. The optics are great, much better than the kit lens with a close up adaptor. The lens is surprisingly heavy, but then there is a lot of glass in it to deliver near perfect images over such a large focus range. 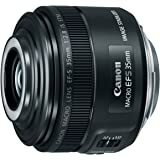 I do have the Canon 50mm f/2 prime lens, but this lens seems sharper and it will see a lot of use for people as well as bugs. The Canon EF-S 60mm is one among a handful of lenses in the Canon lineup capable of 1:1 "life-size" macro focus. This means that the image projected onto the photo sensor at the minimum focus distance is the same size as the subject. 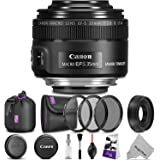 The other lenses capable of 1:1 magnification include the EF 100mm f/2.8, the EF 100mm f/2.8 L IS, the 180mm f/3.5 L, and the MP-E 65mm f/2.8 (this last one is actually capable of 5x life size, but does not focus to infinity). Of the above lenses, the 100mm f/2.8 and its "L" sibling are the most comparable to the 60mm. Aside from the longer focal length, the main distinction is that both are designed to work on full-frame cameras, whereas use of the 60mm is limited to APS-C 1.6x crop cameras like the Rebel and XXD series and the 7D. The 100 "L" is a more recent design incorporating image stabilization (IS) and environmental sealing. Both the 100mm lenses have focus limiters to limit the autofocus range depending on whether you are using their "macro" capabilities. Limiting the focus range in theory should provide faster autofocus. Optically all three of these lenses are excellent - in my opinion the optical differences are insignificant compared to differences in features and price. Like many before me I agonized over which of these lenses I should buy. 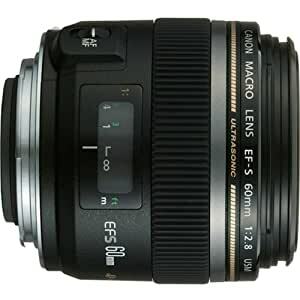 Ultimately I chose the Canon EF-S 60mm because it was the least expensive and most compact lens. I judged its focal length to be more useful on an APS-C camera for portrait and "walk-around" purposes. Also worth mentioning is that the 60mm lens tolerates slower shutter speeds for handholding compared to the longer lenses - this can make a difference when handholding macro shots outside on a cloudy day. On the flip side, a 100mm (or longer) lens has a narrower field of view, better isolating a macro subject from its background. The longer focal length also allows for 6 inches of working distance (measured from the front element to the subject) at 1:1 magnification, compared to the 3.5 inches of the 60 mm. It seems worth noting that the EF 100 mm is 60% longer and 80% heavier than the EF-S 60mm, so whether the extra 2.5 inches of working distance is worth these tradeoffs is something that has to be seriously considered. Image Quality: This lens has a reputation for being very sharp wide open, and it does not disappoint in this respect. Contrast is very good as well. It deals well with light sources in the frame - I get wonderful shots with minimal flare shooting straight into the sun. The bokeh (quality of out-of-focus areas) is generally very smooth and even, particularly at macro magnifications. There is some potential for minor ringing of highlights in high contrast conditions at portrait focus distances. Looking around at sample images for other macro lenses (including the 100mm macros) this is not an issue unique to the EF-S 60mm. Also worth noting is that there is a fair amount of vignetting shooting wide open. In Use: The construction of the lens is very satisfying, and it is a pleasure to use. It balances very naturally on my Rebel. Be sure to get a UV filter to protect the exposed front element. Consider the lens hood as well, which unfortunately is sold separately for most Canon lenses. As a slight disappointment, I expected to be able to use this lens more indoors with available light. However, the bellows effect (reduction in apparent aperture as you approach 1:1 magnification) makes it often borderline usable without a flash. Even outdoors on a cloudy day I have found myself bumping up the ISO to 1600 to get reasonable depth of field and required shutter speeds for macro shots. In other words, don't expect to part with your fast 50 for available light photography - even f/2 makes a big difference. Again, this is an issue that applies to all macro lenses and not just the 60mm. Focus is quiet, fast in good light and very accurate. In low light, expect some focus hunting, which is not aided by the lack of a focus limiter. For macro purposes manual focus is much more practical than autofocus, which becomes somewhat unhappy at high magnifications. Overall this is a very fun lens to use, and it produces really amazing images without a ton of effort. It is a great way to start experimenting with closeups, and it serves very well as an all-purpose moderate tele as well. My main reservation is that it does not really work well as an indoor available light lens. The only remedy for this is a larger maximum aperture, as with the Tamron 60mm f/2 macro (a lens not without its own issues). Generally, though, Canon users can consider themselves very fortunate at their macro options. Providing you weigh the pros and cons of each I suspect you will be very happy regardless of the lens you choose.